The Eternal City of Rome offers visitors so many things to see and do that you could, as the name suggests, spend eternity there and not get bored. 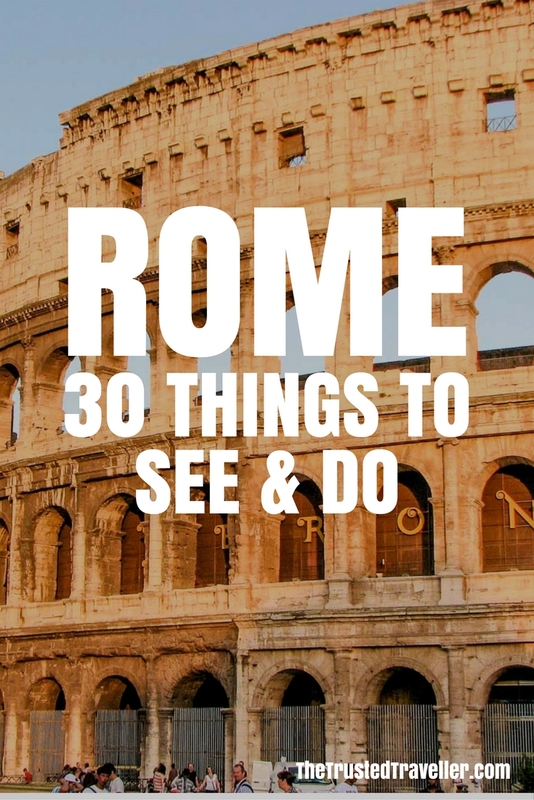 So let’s start with part one, 15 of the 30 top things to see and do in Rome. This nearly 2,000 year old castle was built by Hadrian for the purpose of being a mausoleum to bury his family and eventually for himself to be buried in. Since then it has been used by various emperor’s and popes throughout time as a fortress, castle and prison and it was even used for executions from time to time. These days the castle is a museum called Museo Nazionale de Castle Sant’Angelo which has been opened since 1901. Inside there are six floors of artwork including several baroque statues which have been in the castle for half of its lifetime. Designed by Nicola Salvi and completed in 1762, this world famous Baroque fountain is certainly one of the most popular and well known fountains in the world. This beautiful fountain features a mythological sculptural composition of Neptune, god of the see, with two Tritons. It is the largest fountain in Rome at a height of 26.3 metres and 49.15 metres wide. If you can manage to get a spot by the fountain, do as the legend says and throw a coin in the fountain so that one day you shall return to Rome. This large open piazza which translates to “People’s Square” in modern Italian features several fountains and statues and is surrounded by some of the cities finest churches. Santa Maria del Popolo sits in the northeast corner of the piazza and is where the piazza gets it’s name. Hard to miss are the twin churches of Santa Maria Montesanto and Santa Maria dei Miracoli both built in succession in the 17th century. 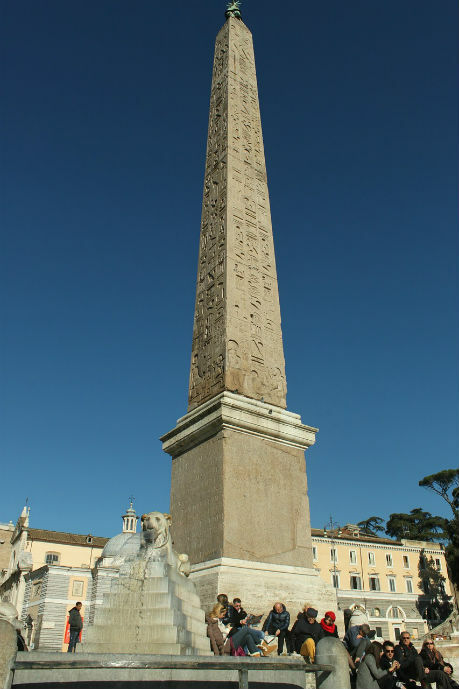 You will also notice the Egyptian Obelisk that stands in the piazza which was brought to Rome more than 2,000 year ago. As the centre of the Catholic world, St. Peter’s Basilica is one of the biggest churches in the world with an interior height of 120 metres. It stands on the traditional site where Peter, who is considered the first Pope, was crucified and buried. Building began in 1506, taking over 100 years to complete in 1615. Michelangelo is represented in the Basilica having designed the incredible dome and fellow artist Bernini designed the great St. Peter’s Square in the front of the Basilica. You can walk to the top of the dome by way of 500 plus steps, for the most spectacular panoramic views of Rome. 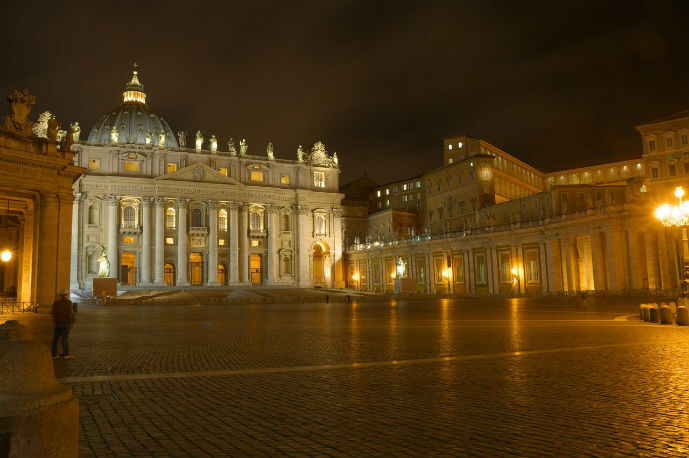 Santa Maria Maggiore, despite being on Italian soil, is actually owned by the Holy See and is patrolled internally by police from Vatican City. There is a lot to love about Santa Maria Maggiore. Firstly, the structure is quite attractive with a long, column-lined interior, different to most other churches in Rome. If you love mosaic and intricate detailing then you’ll love seeing some of the most well kept mosaics from the early days of Christianity with some dating back to the 5th century. And finally you will find a collection of some of the best statues in Rome. The Colosseum began construction in 70AD under the emperor Vespasian but was completed under his successor Titus in 80AD. It is estimated that it could hold between 50,000 and 80,000 spectators in its heyday and was originally used for gladiatorial contests and public spectacles involving animals, humans, executions, re-enactments and classic mythology. The early medieval era saw the end of these vicious and barbaric battles with the Colosseum later used for housing, quarters for religious order, a quarry, fortress and workshops. Devastating earthquakes and stone-robbers have left the Colosseum in partial ruin but you can still easily picture its original form as you wander around inside and out. Palatine Hill is one of the original Seven Hills of Rome and it is located in one of the most ancient parts of the city. 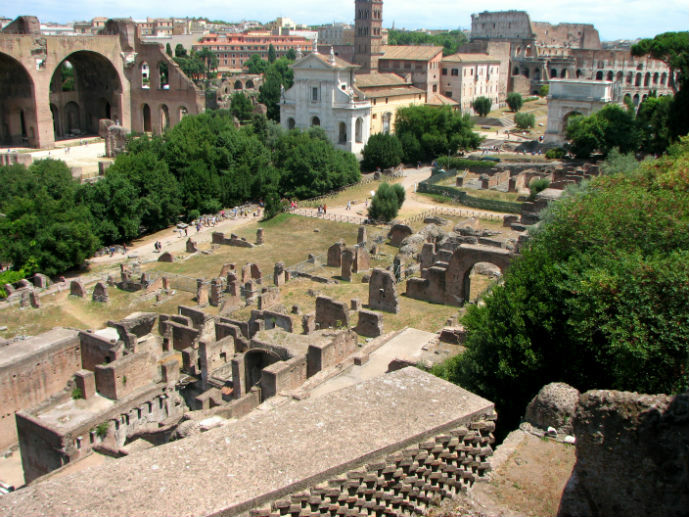 From the top it offers some of the best views of the Roman Forum and Circus Maximus. At the top of the hill is the ruins of a palace complex which were once used as villas by Roman government officials and their families. It is thought that Rome’s first emperor, Augustus, was born in one of the buildings on the hill. 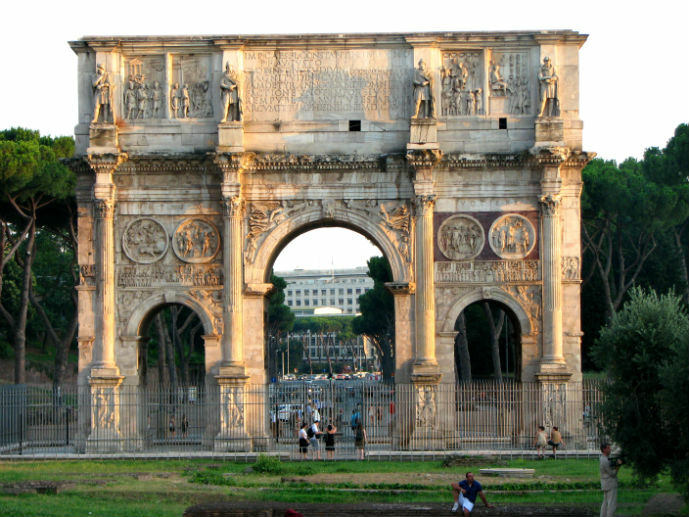 You will find the Arch of Constantine located just between the Colosseum and Palatine Hill. Dedicated in 315 to commemorate Constantine I’s victory over Maxentius at the Battle of Milvian Bridge in 312, it is the latest of the existing triumphal arches in Rome. It arches across the Via Triumphalis which was the way taken by emperors when they entered the city in triumph, also leading through Circus Maximus and around Palatine Hill. 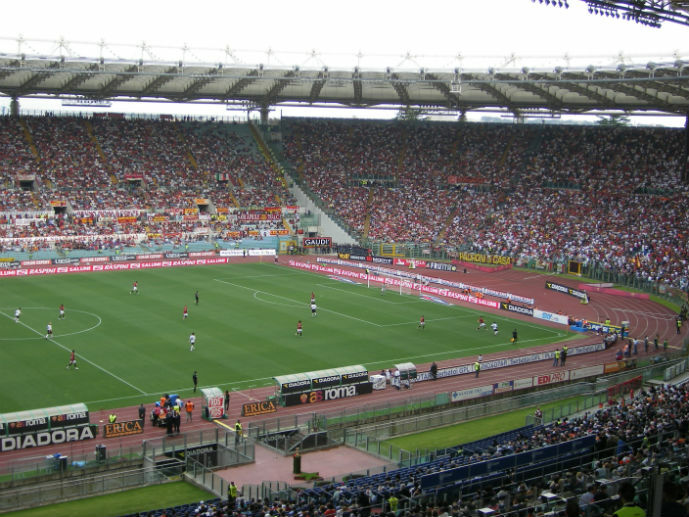 Rome’s Stadio Olimpico was built for the 1960 Olympics and remains today, a major sporting venue. It was rebuilt for the 1990 FIFA World Cup and now has a roof to keep the weather out. There are lots of different events held here throughout there year, most of which are football (soccer) related and it is the home stadium of Lazio and Roma Football Clubs. To visit the stadium, get yourself tickets for a football match or one of the occasional concerts held there. As one of Rome’s greatest public spaces in Roman times, it was home to chariot races, used as part of triumphal processions and other public events. 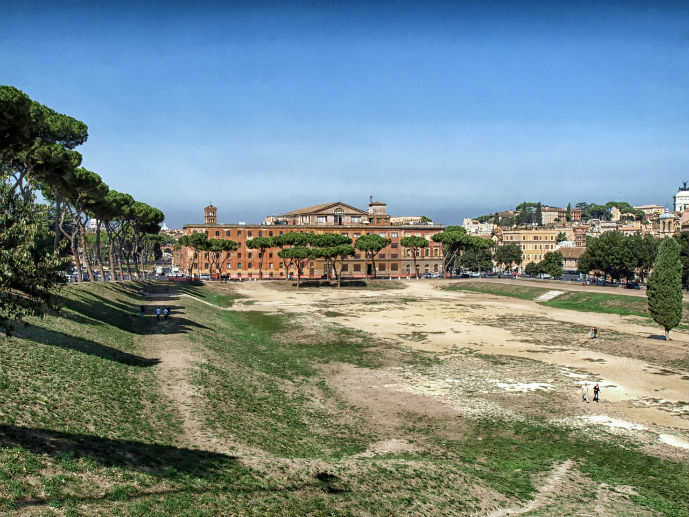 Located in the valley between Aventine and Palatine Hills, it was the first and largest stadium in ancient Rome and measured 621 metres long and 118m metres wide. It could, at times, hold a massive 150,000 spectators and was used as a model for other stadiums built throughout the Roman Empire. It is now a public park which unfortunately doesn’t have a lot of appeal but it is worth a look even just from the top of Palatine Hill. 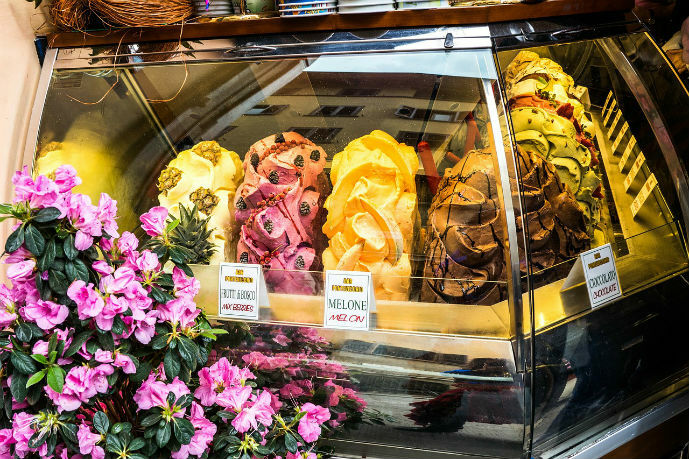 You simply can’t visit Rome, or Italy for that matter, without having at least one gelato. This delicious creamy ice cream comes in almost every flavour imaginable from the classics like vanilla and chocolate to fruity flavours like strawberry or peach and then the more unusual ones like parmigano and mozzarella or wasabi and prosciutto. It’s not hard to find a good place to get gelato either. You will find a gelateria on every second corner in the city centre and my best tip for picking which place to try is always go for the one with the longest queue. It must be popular for a reason right? 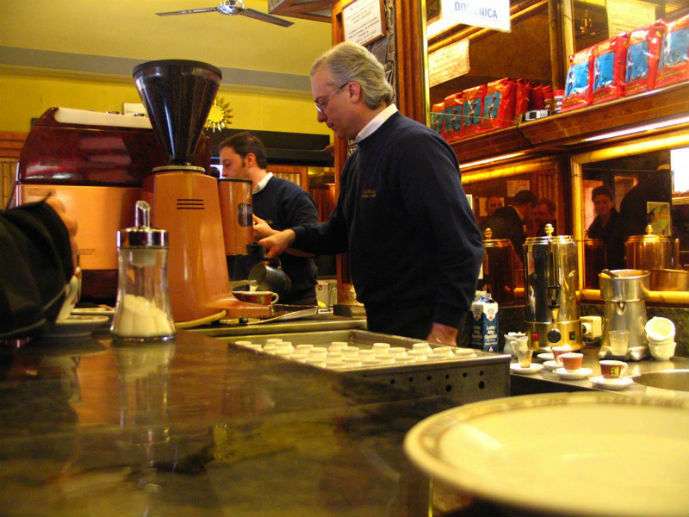 Italy is widely known to be one of the best places in the world for a good cup of coffee. In Rome, you can wander into any bar or cafe and stand at the bar, order your coffee and sip it while standing to do as the locals do. 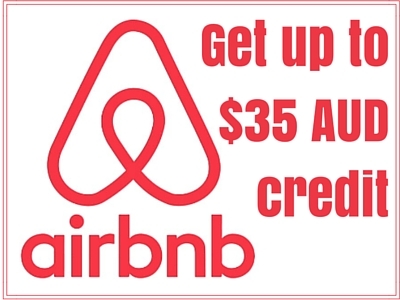 If you need to rest your feet, grab a seat outside, order your coffee from the waiter and expect to pay a bit more than if you were standing. You’ll find it tough to locate a place that does takeaway coffee in a paper cup like you’d get in Starbucks as coffee is really supposed to be enjoyed properly and slowly in Italy. And if you really want to “fit in” and do as the locals do, don’t order a cappuccino after noon. Italians only drink cappuccino in the morning. 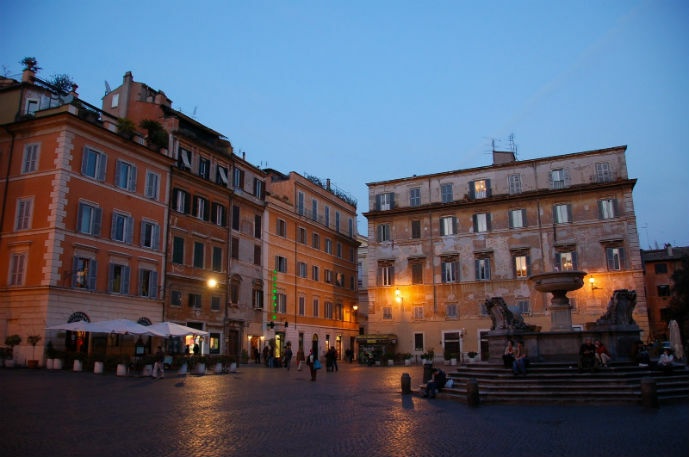 Trastevere is the area you want to visit at night for small authentic Italian restaurants with cheap prices. It’s located just across the River Tiber to the west of the ancient city centre and is frequented mostly by locals. There’s no fast food and touristy restaurants here, just small family owned cafes and tratorias with loads of charm, menus full of delicious fresh produce and happy people. The atmosphere at night is gorgeous with dimly lit laneways and side streets and groups of happy people taking a stroll after their meals. The restaurants fill up quick and by 8.30pm each night it can be almost impossible to get a seat anywhere. If your looking to splash out and do a bit of shopping when in Rome, then you are certainly well catered for. If your after big name high end Italian fashion brands like Valentino and Armani then the best place to start is via dei Condotti and via Borgogna, home to all the big brands and the busiest shopping streets in Rome. Running through Condotti and Borgogna is via del Corso where you will find all of the high street, moderate priced brands, things like Diesel, Adidas and Lacoste. 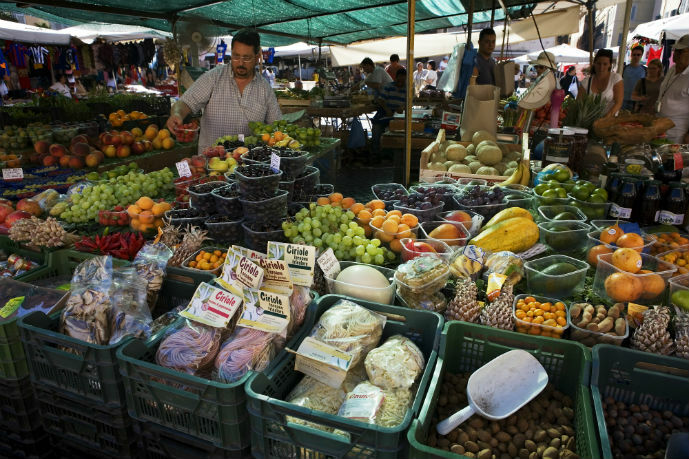 To shop for fresh produce, you can’t go past Campo de’ Fiori, one of the best and most popular in the city centre or Mercato Esquilino where you will find everything from fresh produce to fish, meats and even cheap clothes. 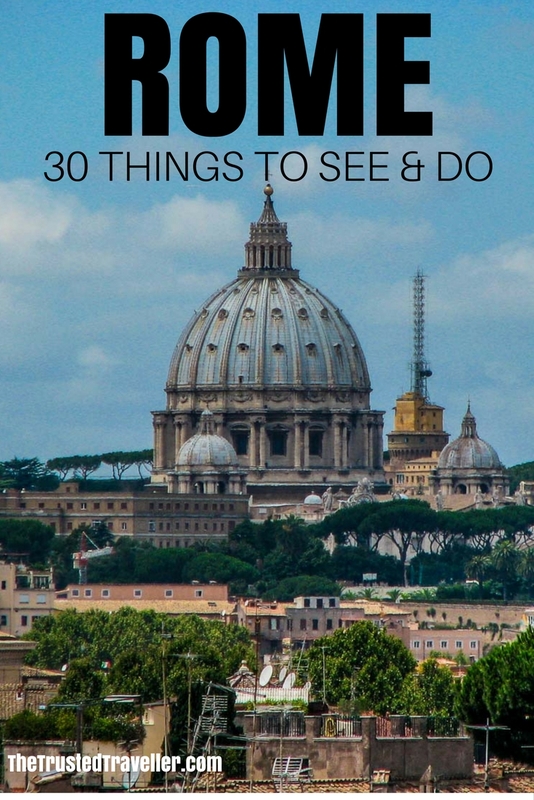 Click through to read part two of Rome: 30 things to see & do. What’s your favourite place in Rome? Or where do you want to see the most? 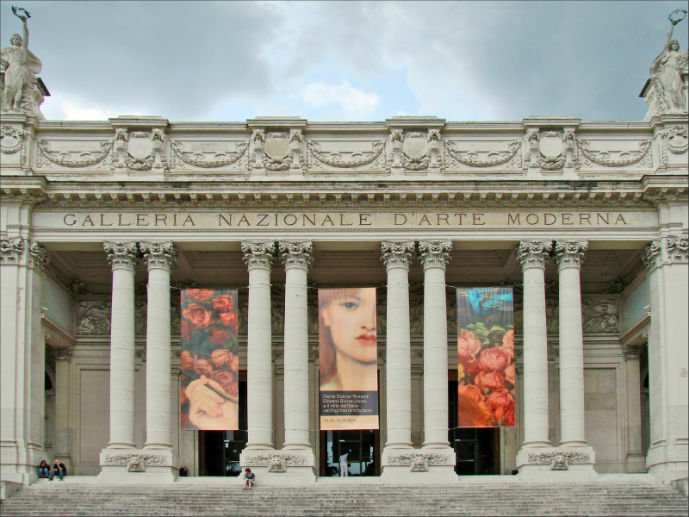 If you love art and architecture then Rome is probably one of the best places in the world to experience them. I really hope when you do visit Alexandra, that you love it! Thank you Paul. I admit I haven’t seen nearly enough either and agree with you about the Pantheon and Colosseum. To be there in those times would have been incredible! Me too Hannah. Some days it was two a day! I’m with you there Bec! I’d be back there in a flash if I could. Agreed! The area around the Pantheon was probably my favourite part of Rome. Wow, it looks like there is so much great stuff to see on Rome! Italy has been high on my list for a while, and the trip just hasn’t lined up quite yet. Fingers crossed it happens soon! I will have my fingers crossed for you to get to Rome soon Jessica. I want to do all of these especially the one involving gelato! The gelato is amazing Samantha! It’s hard to stick with one a day that’s for sure. I visited Rome 5 years back, and reading through your post, and seeing the pictures, it just brought back those lovely memories! There’s so much of history and architecture spilled all over the city, and it’s difficult not to capture them! Thank you Anu. I am glad that I could bring some happy memories back to you. Oh how I wish I had read this post before I ventured to Rome . . . we just didn’t get off on the right foot I’m afraid, and I think it was the lack of research beforehand that created this. Amazing tips and list for the next time! Oh no, that’s no good Alli. There is always next time! 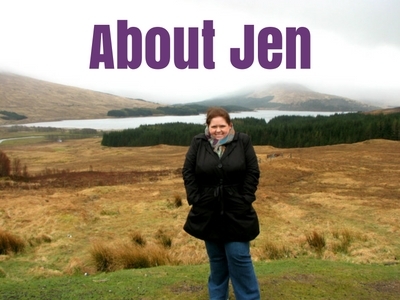 I have always dreamed about going to Rome and roaming around the historical sites! 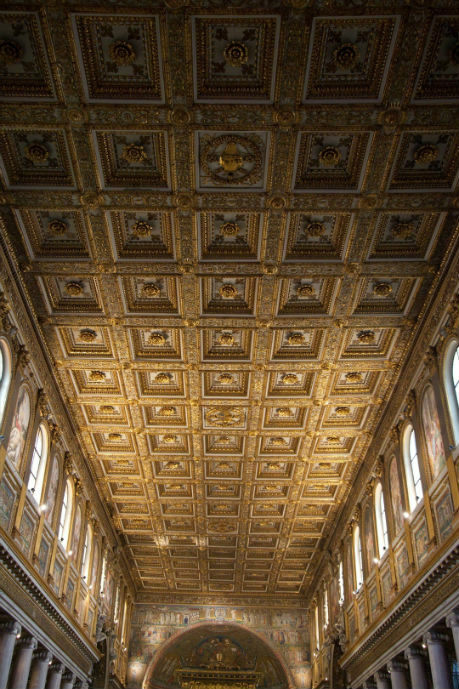 I really love the ceiling at the Santa Maria Maggiore – it is so grand and magnificent and the Colosseum is a place that holds so many stories!! It sounds like the perfect place to sit down and enjoy some great coffee too! It is truly wonderful Constance. We hadn’t actually planned to visit Santa Maria and just stumbled across it one day and really loved it. Hope you get to roam around Rome soon! Ah I love Rome! I haven’t been there in a few years but it was the first city I visited in Europe. Nostalgia! The markets, the architecture, the food… so good! It is an amazing city Muriel. Glad I could bring back some good memories for you. Beautiful pictures. I was in Rome last year and checked out some of the places you pictured above. Would love to go back. Thanks Bianca. I would love to go back too! I knew that we should visit the Colosseum and Trevi Fountain but the other places I hear for the first time. I dont think that 4 days there are going to be enough to see all of those places but we will try 🙂 The only thing that bothers me is that it will be hot as hell. Glad I could help Edward and glad you found somewhere cheap and central to stay. I hope you both have a fantastic time! 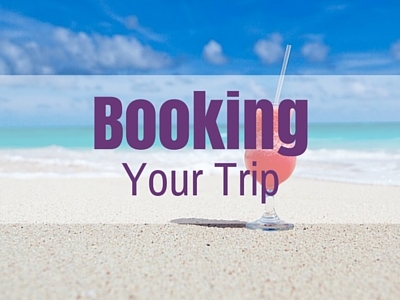 This is the most comprehensive guide I’ve seen in a while! Anyone going to Rome will have no trouble enjoying it! Thanks Mia. Appreciate your feedback. Yay! So excited for you guys. It is a pretty awesome city. I like Rome very much,so from this article my dreams comes in front of me.